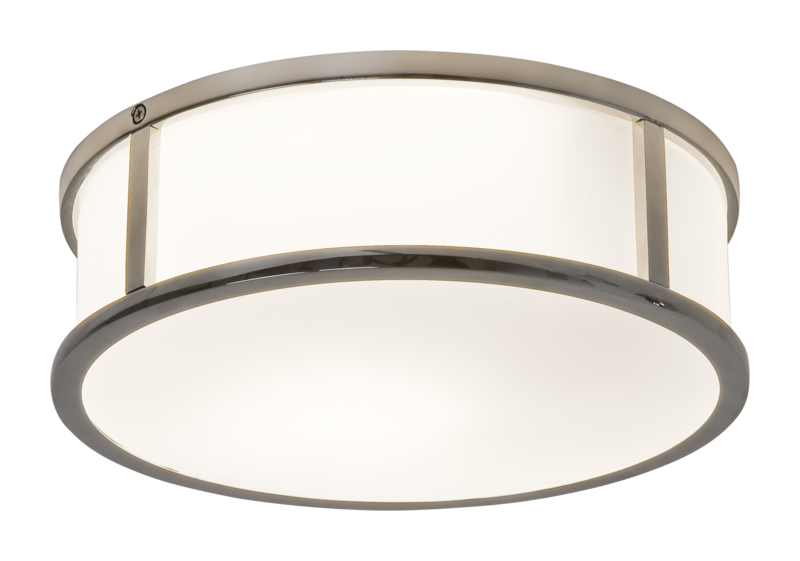 This stylish and compact bathroom ceiling light will add a touch of class to a bathroom of any size. Its circular shape and polished chrome trim gives it a chic and minimalist edge that will bring understated elegance to wherever it is sited. In contrast however, the white opal glass diffuser radiates a soft and gentle light so creates a warm and earthy ambience. The product is dimmable to give you flexibility over your lighting needs. It is also IP44 rated so is suitable for use in bathroom zones 2 and 3.